These patients had reported the symptoms last year. The blood sample from a 64-year-old male was collected between February 10-16, 2017 and he is being considered the first Zika positive case in the country. Down To Earth had investigated the reason for unexplained fever cases in India and had enquired from the National Institute of Virology (NIV), Pune whether these cases could be due to Zika virus. The NIV had replied in negative. The recent reports of Zika cases is of concern as cases of dengue are already being reported in India. 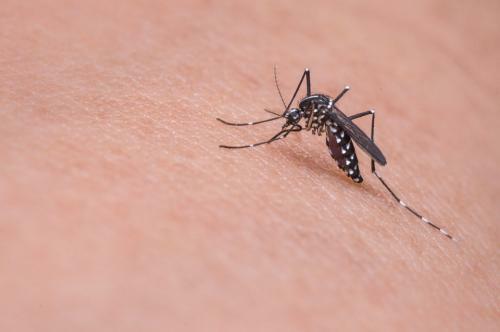 Both dengue and Zika virus are transmitted by the same mosquito, the Aedes aegypti. As of now, the National Guidelines and Action Plan on Zika virus disease have been shared with the States. An Inter-Ministerial Task Force has been set up under the Chairmanship of Secretary (Health and Family Welfare) together with Secretary (Bio-Technology), and Secretary (Department of Health Research). Even the airports have been put on an alert. However, WHO has not recommend any travel or trade restriction to India based on this information.